Andres Manuel Lopez Obrador wants to build more state-owned oil refineries in an effort to stop buying abroad. 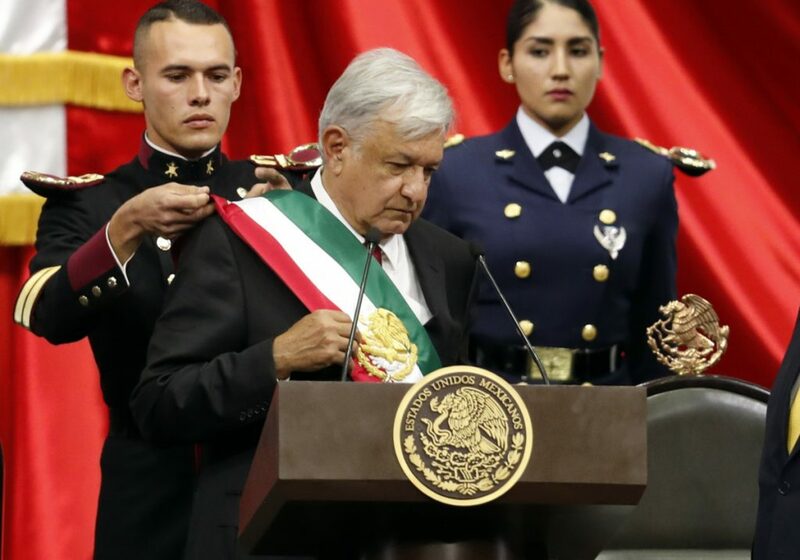 MEXICO CITY — Andres Manuel Lopez Obrador took the oath of office Saturday as Mexico’s first leftist president in over 70 years, marking a turning point in one of the world’s most radical experiments in opening markets and privatization. The first foreign dignitaries that Lopez Obrador greeted were Vice President Mike Pence and Ivanka Trump. “I want to say that since July 1, the day I was elected, I have received respectful treatment from President Trump,” Lopez Obrador said. Lopez Obrador said he wanted to reach an agreement with the governments and companies in the U.S. and Canada to develop Central America and southern Mexico, so people wouldn’t have to emigrate.